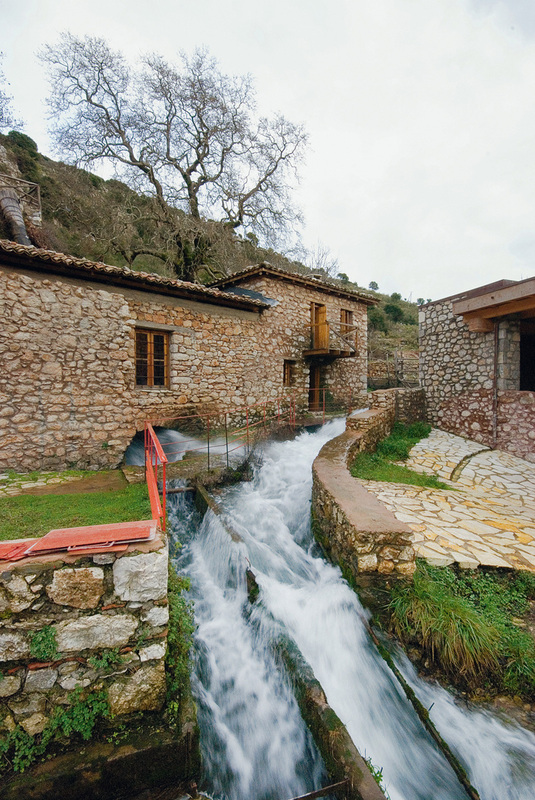 The Open-Air Water Power Museum, in Dimitsana (Peloponnese), highlights the importance of water-power in traditional society. 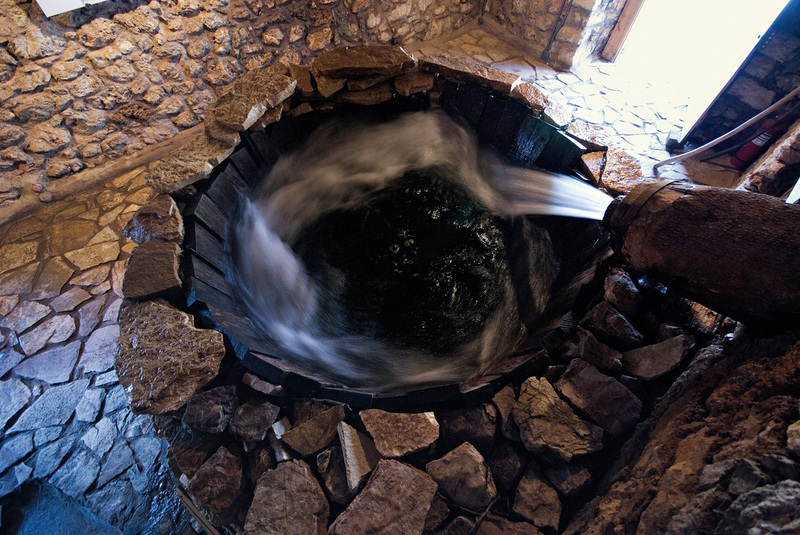 Focusing on the main pre-industrial techniques that take advantage of water to produce a variety of goods, it links them to the history and daily life of the local society over the ages. 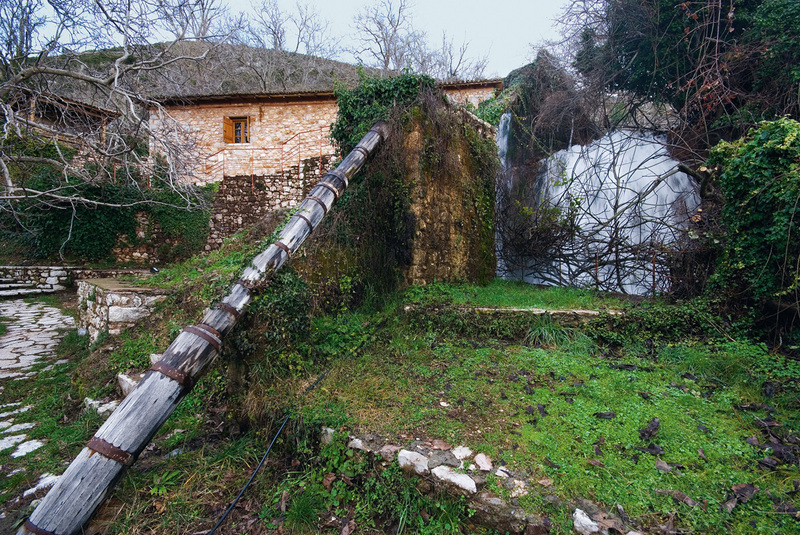 The Open-Air Water Power Museum has restored traditional installations and water-powered mechanisms. The workshops are surrounded by thick vegetation and abundant running water, where you can go for a walk. Their permanent equipment has been repaired so that it is now in working order. The first building houses a fulling mill and a flourmill with a horizontal paddle-wheel. The adjoining small room with a fireplace was the miller's home, where he lived with his - usually large - family. 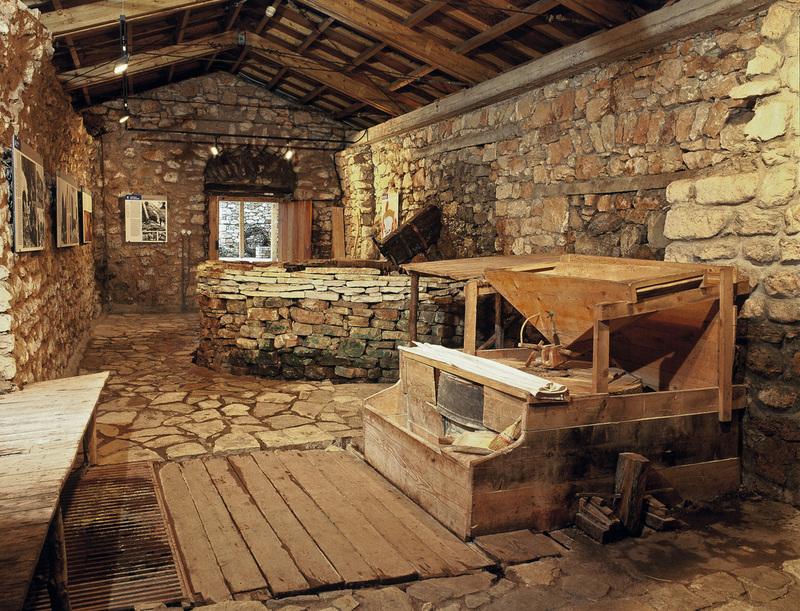 Outside the mill, you will see the still, which was set up out of doors after the grape harvest for the production of tsipouro (a kind of schnapps or eau-de-vie) made from the skins of the pressed grapes. Exactly opposite, a two-storey building housed the tanner's home (upstairs) and the tannery (ground floor). The workshop's interior is divided into "zones" corresponding to the different stages of processing animal hides. The stone-paved path leads to a flat area, where a natural reservoir is formed, and ends at the gunpowder mill. 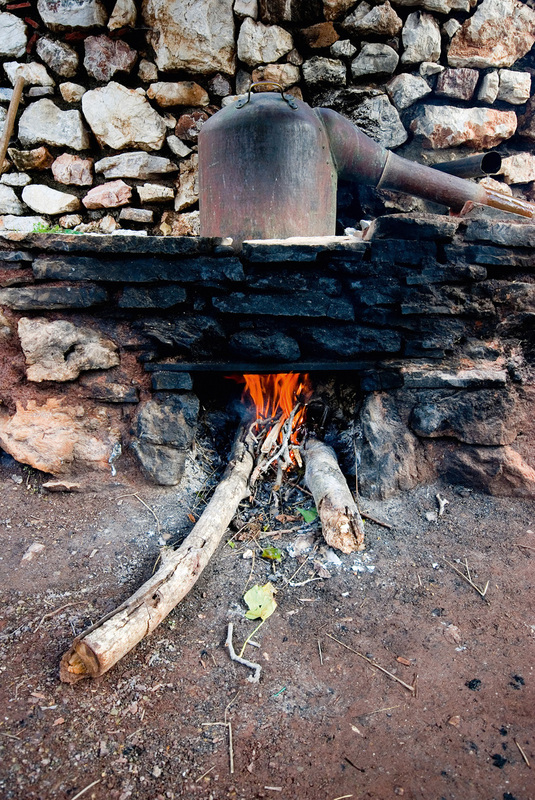 Gunpowder, a vibrant element of the region's cultural identity, remains alive in the memory and tales of Dimitsana's inhabitants. During the 1821 Greek War of Independence against Ottoman rule, their forefathers supplied the insurgents with this necessary ammunition material. In his memoirs, Kolokotronis, chief of the irregular troops in the Peloponnese, wrote: «Gunpowder we had, Dimitzana made it». 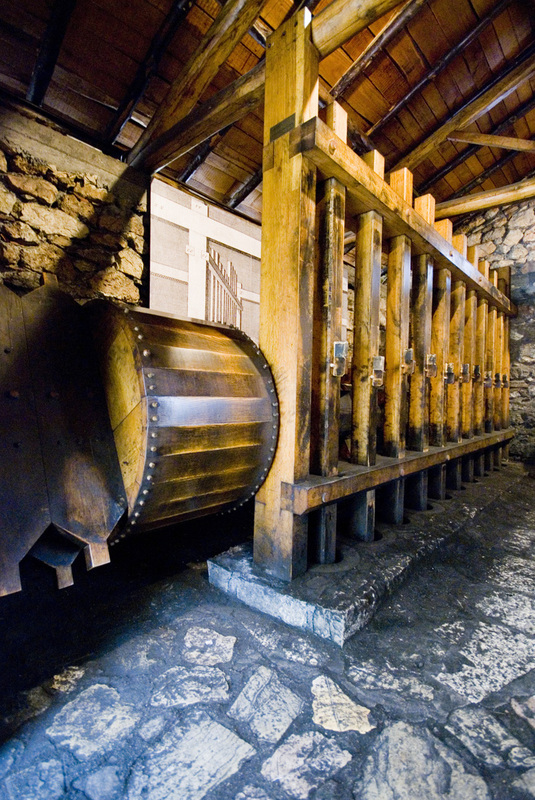 Here, you can see the moving mechanism of a gunpowder mill with pestles (or pounders), extinct in Europe since the 18th century, while in Dimitsana it was used during the 1821 Revolution and up to the early 20th century. Following your visit to the Museum, continue your perambulation in the Loussios Gorge. Young visitors have the opportunity to throw corn kernels into the hopper of the flourmill and watch how the grains are ground by the millstones and fall into the flour bin. They can also watch the rhythmic movement of the gunpowder mill. Also, thanks to the interesting audiovisual productions, they learn how hundreds of workshops functioned using the force of water along the valley of the Loussios River. 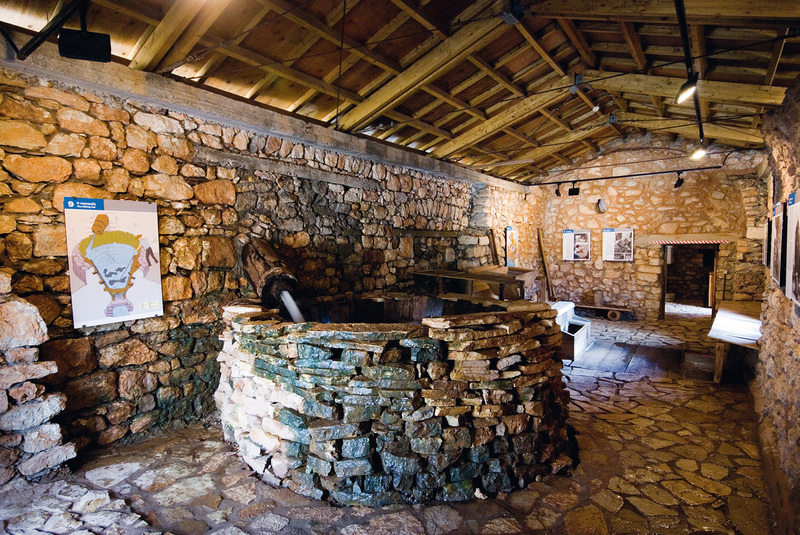 The Museum organizes educational programmes with games and activities, for schools and group visits, such as the programme «With the force of water».